When the weather outside is frightful, the absolute last thing you want to do subject your hands to the cold to answer a beckoning text or email. Thankfully, we have the answer to all of your digital prayers! 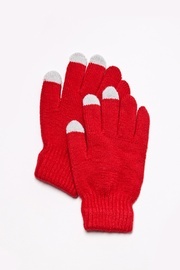 With our texting gloves, you'll never have to choose between keeping warm and sending out the perfect text or tweet. These unique gloves are perfect when using your iPhone, Android, GPS, or tablet outdoors. The specially woven fibers make it easy to stay connected and OMG and LOL whenever the feeling strikes. They are so effective that you feel like you're swiping with your bare finger! Our texting gloves will allow you to chat a friend, check your feed on Facebook, and update your Twitter, all without compromising warmth. We all know what a hassle it is to constantly take off and put on your gloves to text in the cold, but you'll have no problem typing away without baring your digits to nature's elements. These gloves are great for anyone: the sports enthusiast, the on-the-go scholar, the traveler, the techie, and everyone in between. Our selection of colorful texting gloves are fit to tackle the bitter cold, while stylishly matching any outfit under the sun. 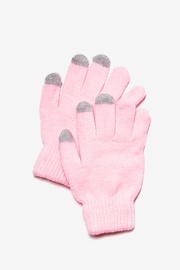 No matter where you reside, winter gloves are an absolute essential during the colder months. 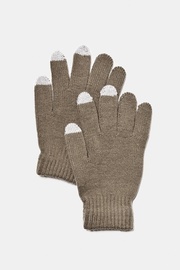 They are a great accessory that protect your hands from Mother Nature's frigid wrath. From the gusty winds on the West Coast to snowy blizzards on the East Coast, these gloves will be your favorite companion when the weather starts to turn for the worse. They make a stylish and practical gift for anyone braving colder temperatures and are compact and easy to throw in a purse or a backpack just in case you're ever in need. Grab a couple pairs and coordinate them with all of your fabulous outfits. All of our gloves are made with the finest acrylic material that insulates your hand, keeping the cold out. They are super lightweight and much softer compared to other texting gloves on the market. Our gloves are lined with a cozy, fuzzy layer that make them not only warmer than most, but also much more comfortable. They come in a rainbow of colors, with contrasting gray tips on the thumb, index, and middle fingers. 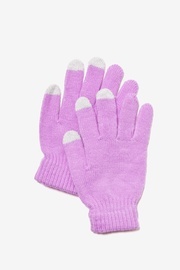 Fight off June's gloom and the winter blues with a bright colored glove to lift your spirits in the dreary weather. Or, stay subtle with a neutral color for an understated and sophisticated vibe. 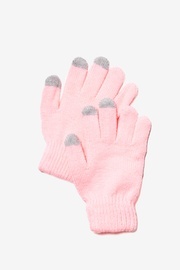 No matter what color you choose, these texting gloves are the perfect accessory for any outfit. To complete the look, add a matching infinity scarf or a stretchy headband and keep your body extra warm and toasty. With these soft and snug additions to your closet, you'll be ready to face any harsh weather that comes your way!